Get Free Inspection And Quote! Has your Las Vegas water bill suddenly skyrocketed with no foreseeable explanation? You may be the victim of a nasty water leak. The key characteristic to a leaky yard line is flooding in your yard. As simple as that may sound, leaks in the piping are commonly found far away from the actual flooding area. 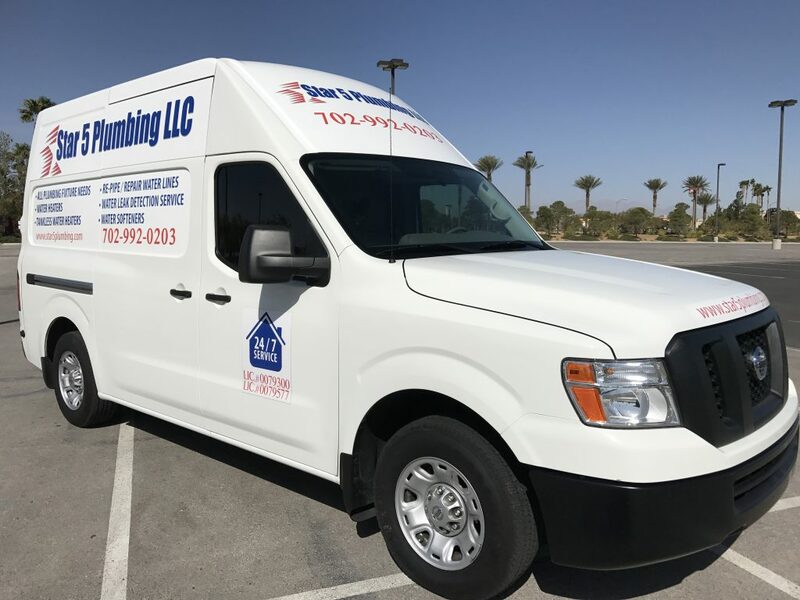 Our Star 5 Plumbing will use cutting-edge technology to determine the precise location of your yard leak. We will arrive in a fully-equipped van and get your water bills back to normal with ease and professionalism. A frequent misconception is that every main water line leak will result in a corresponding loss of water pressure. Actually even if a water main repair is needed, it is quite unusual to have a loss of pressure. Having a leak on a service line is no different than having a sink or other plumbing fixture running in your house. It typically does NOT result in a loss of pressure. 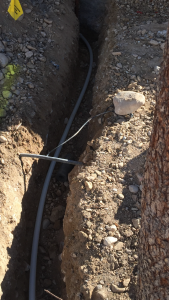 Only in extreme cases, such as a ruptured service line or the actual tap connection becoming dislodged from the city main, will there be a drop in pressure. You can start by calling our team today at 702 992-0203. We offer free estimates to all locations. 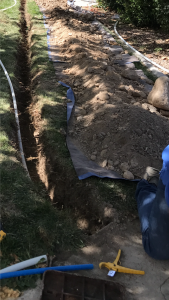 The best way in which to ensure that your main water line is repaired or replaced not only promptly but successfully as well is to schedule service with a member of our team. Our plumbers have the experience and expertise that they need to correctly diagnose any problems and to resolve those problems with care. That begs the question, though: when should you call for water line services? One of the trickier aspects of dealing with plumbing problems is the fact that these problems may develop well out of sight. It is not as though you can just visually check your water line for leaks, right? Fortunately, there are plenty of indicators that you’ve got a compromised water line. You just have to know what to look out for. Rumbling or hissing at your main water line connection. If you are near your main water shut-off valve, and you hear any sort of rumbling or hissing coming from that general area when there is no water in use throughout your home, you may actually be hearing the sounds of a leak. Double check to make sure that nobody has started a load of laundry or dishes, etc. If you still hear the sound and are certain that no water is being used, a leaking water line is a real possibility. A loss of water pressure throughout the house. If you have low water pressure at a single point in your home, such as at a sink or in the shower, then it is possible that the piping servicing that one particular area or fixture is leaking. If you are experiencing low water pressure throughout the whole house, however, you may have a leaking water line. This issue won’t always develop even in the event of leaks, but it is one to be aware of. Finally, and perhaps most obviously, there is the issue of water pooling in your yard. We don’t have too many rainy days in our area. 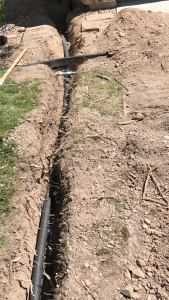 If there is a wet patch in your lawn, despite the fact that we’ve had nothing but our average dry weather recently, then it is likely that the water that you are seeing is, in fact, coming from the main water line. It could also be from a leak in a neighbor’s water line that is just pooling on your property, though. That is why you need a Star 5 professional to investigate matters. Star 5 Plumbing suggests only the best possible options and solutions to each customer’s plumbing issues or concerns. Copyright © Star 5 Plumbing 2018.All rights reserved.